Two pioneers and innovators in the money management field present their choice of groundbreaking, peer-reviewed articles on subjects including portfolio engineering and long-short investment strategy. More than just a collection of classic review pieces, however, Equity Management provides new material to introduce, interpret, and integrate the pieces, with an introduction that provides an authoritative overview of the chapters. 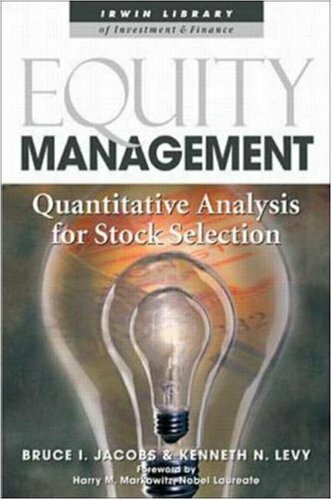 Important and innovative, it is destined to become the "Graham and Dodd" of quantitative equity investing.